On the advice of a few people in my life, I have decided to start this blog…really, more so random thoughts on….wine! Now, I don’t claim to be an expert on wine, in fact, I’m far from one. I am learning, and probably will continue to learn abut the subject until the day I die. What I hope to accomplish here, is share my findings on wines that I have personally tried. I will tell you what I see, smell, taste, how much it cost me, and what foods I tried it with and whether or not I think it pairs well. Whether or not you have a glass by the fireside, the poolside, the seaside or the wayside, I hope I can impart some sort of spark to go out and buy one or two of these! After that, the choice is up to you whether or not you want to keep that wine on a list of “keepers”. Bottom line, drink what you like! If you are reading or following this blog and you have a wine you want to share, please do so! Or, if you have comments on what I have posted (i.e, you went out and tried it, and either loved it or hated it) I want to know! Tell me your thoughts! 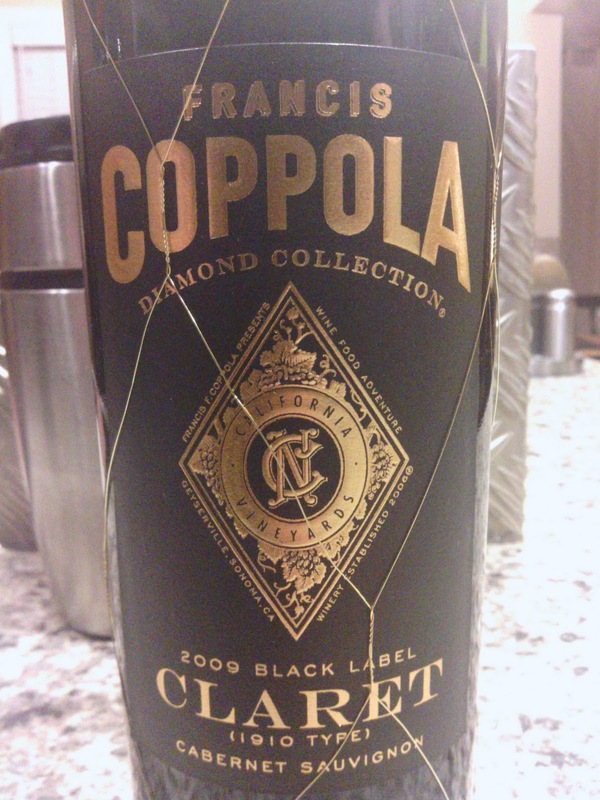 I bought this wine because we had tasted one in class when we were doing Cabernet Sauvignons….the “king” of grapes. This particular wine has a small blending of Merlot, Cabernet Franc, Merlot, Petit Verdot and Malbec in it as well. It’s called a “Claret:, which was a term originally coined by the British to describe Cabernet based wines. It is described as “alluring and sophisticated”…hmm…really? For me, and those here who were tasting with me…it was tight…I let it sit, I decanted it, I aerated it…there just wasn’t much there. I got some black cherry and black coffee. Other than that, not much else. The conclusion? Leave it in your cellar for a few years, THEN bring it out! The gold cage on the outside is nice though…..